On April 24, 2015, Veronica Park died in the Nova Institution for Women. On July 28, 2015, Camille Strickland-Murphy killed herself in the Nova Institution for Women, committed suicide. On October 31, 2006, Ashley Smith, a “troubled teenager,” was shifted from youth custodial services to a federal women’s prison, the Nova Institution for Women, in Truro, Nova Scotia. From there, over the next year, Smith was transferred 17 times, and subjected throughout to full body constraint, shackles, and extended solitary confinement. On October 19, 2007, Ashley Smith hanged herself while seven guards watched and did nothing. The State was “shocked”. Some said, “Ms. 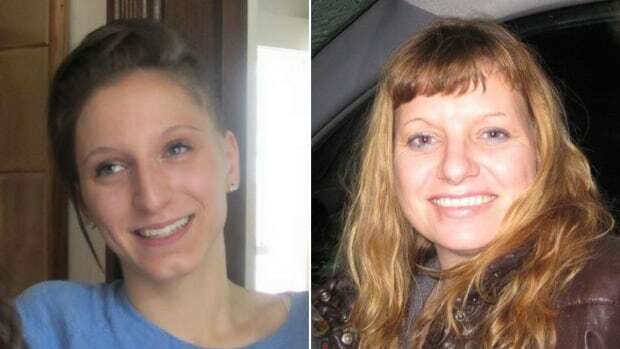 Smith’s death should haunt Canada.” It didn’t and, as the corpses of Veronica Park and Camille Strickland-Murphy demonstrate, it hasn’t. The death of women prisoners haunts absolutely nothing. Last week, the families of Veronica Park and Camille Strickland-Murphy sued Canada’s federal correctional service for “negligence.” Rather call it torture. This play unfolds in three acts: the deaths, the after-death, and the darkness gathering. Act One: Veronica Park and Camille Strickland-Murphy die. Veronica Park entered Nova Institution for Women on August 14, 2014. Her family says she suffered from mental health issues, which they attribute to having been sexually and physically abused as an adult. She took to self-medicating and became addicted. In prison, she continued to self-medicate. Prison staff responded to her “situation” by throwing her, three times, into “segregation”, where she spent a total of 22 days. In the weeks before her death, Veronica Park went to the clinic seven times. She was clearly sick. On April 23, 2015, Veronica Park went twice to the clinic, where the nurse recorded a sore throat, cough, body aches and shortness of breath, and sent her on her way. The next day, Veronica Park was found incapacitated, gasping for air. She was taken to hospital, where she was diagnosed with a serious case of pneumonia. By 4:30 pm, Veronica Park was dead. Camille Strickland-Murphy entered Nova Institution for Women on November 10, 2014. Strickland-Murphy had been in Nova before, at the age of 19. At that time, she had been beaten twice, by other inmates. Her family says that Strickland-Murphy’s mental illness began then, with untreated concussions. She began having seizures, fainting spells, and periods of loss of consciousness. The State responded with “segregation”, seven times totaling 23 days. When Camille Strickland-Murphy returned to Nova, her condition was worse. She was engaging in self-harm, which, again, resulted in segregation In February, she cut her face, and was found in a pool of blood. In March, she set her leg and room on fire. On July 20, she attempted suicide, and was sent to hospital. She was then returned to the Nova Institution for Women. On July 28, Camille Strickland-Murphy killed herself. Who really killed Veronica Park and Camille Strickland-Murphy? Act Two: The State abuses the families of Veronica Park and Camille Strickland-Murphy. When Veronica Park and Camille Strickland-Murphy asked, directly and indirectly, for help, they were sent into segregation. Segregation means no family contact and that one’s security changes from medium to maximum. The families say they were never told about their loved ones’ deteriorating conditions. No one in either family knew how bad the situation was. How could they, when Veronica Park and Camille Strickland-Murphy were in and out of “segregation”? After the deaths, the State met the families’ various requests for information, both on what happened and what follow-ups were going on, with stone dead silence. According to Kim Pate, of the Canadian Association of Elizabeth Fry Societies, when the Park family asked for more information, “they were told it was protected. It is outrageous.” There’s no outrage here, and Ashley Smith does not haunt the Canadian justice or prison system. The State kills women in prison, and then “protects” information. According to the family, the investigation into Veronica Park’s death didn’t even begin for a full four months. Act Three: The darkness gathers. Howard Sapers, the federal prisons ombudsman, released a report last week on how Canadian prisons deal with families after prisoners have died “in custody.” Investigative reports are consistently blacked out. Sometimes whole pages are missing. This repeats the treatment prior to the death, when the prisons don’t inform families. Prisons treat the families callously and worse. One man told the prison he would be coming to view his family member’s body on a certain day. When he arrived, he was told, for the first time, that his family member had been cremated. Later, without any notice, the ashes were couriered to him: “They cremated him and they sent him by Purolator…sending someone in the mail…it’s just not right.” It’s just not right. Sapers’ report is titled In the Dark. Ashley Smith died, or was killed, nine years ago. In the interim, the darkness has gathered and thickened. In the name of Veronica Park, Camille Strickland-Murphy, and Ashley Smith, no more red flags, reports, inquiries or commissions. It’s time, it’s way past time, for action. Close the Nova Institution for Women. Close all places where segregation and isolation are the protocols for healing. Build spaces that are actually for women. Anything else is just not right.